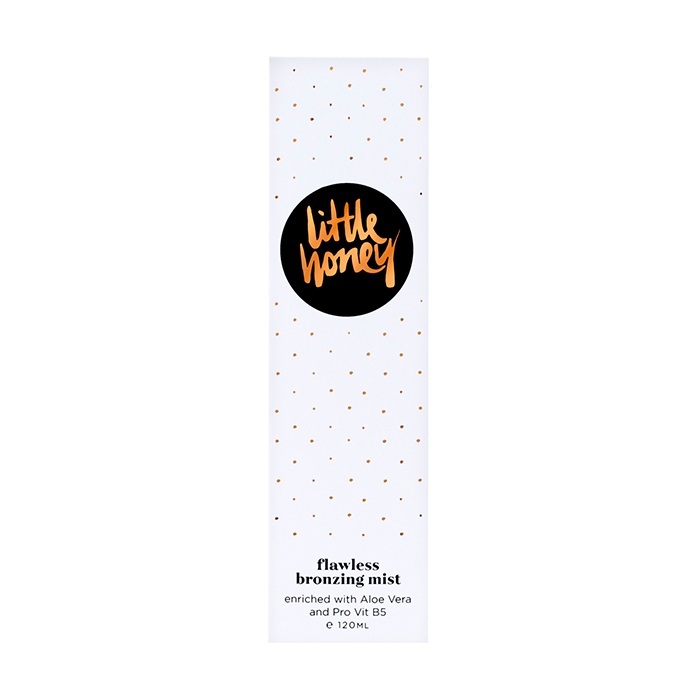 Little Honey Flawless Bronzing Mist glides on easily giving you a fresh, streak free, golden gorgeous tan. 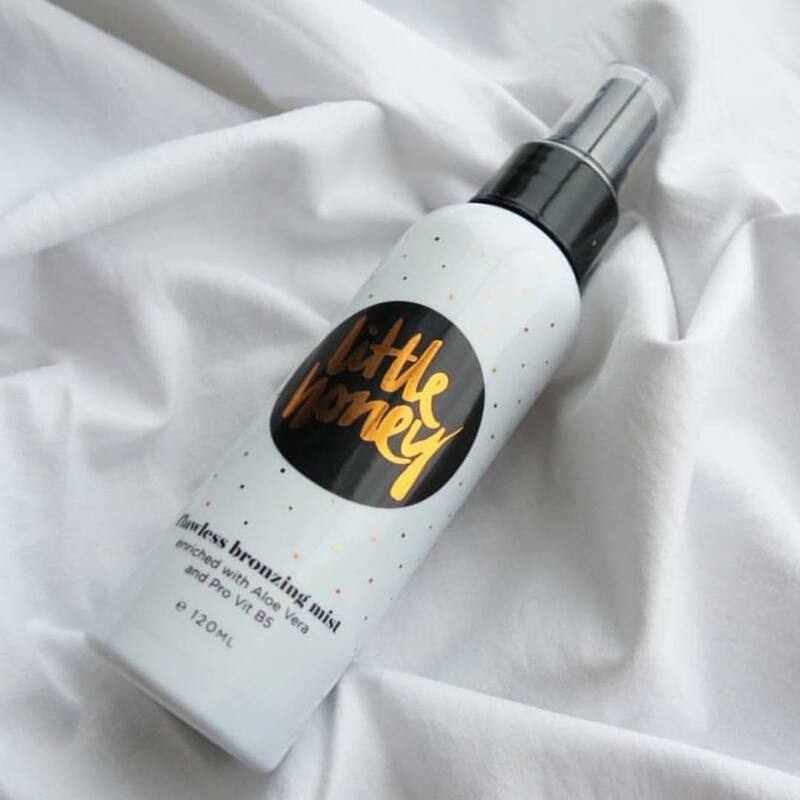 Dry to touch within 10 seconds, Little Honey self tan is enriched with Aloe Vera and pro vitamin B5. 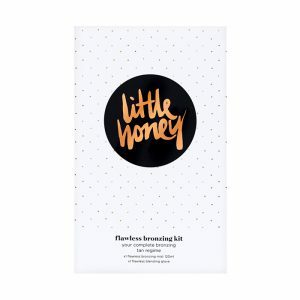 Apply your self tan mist and blend over skin using your Flawless Blending Glove, doing one section at a time, take extra care around fingers, knees, elbows and feet. Repeat until you achieve the desired flawless self tan finish. 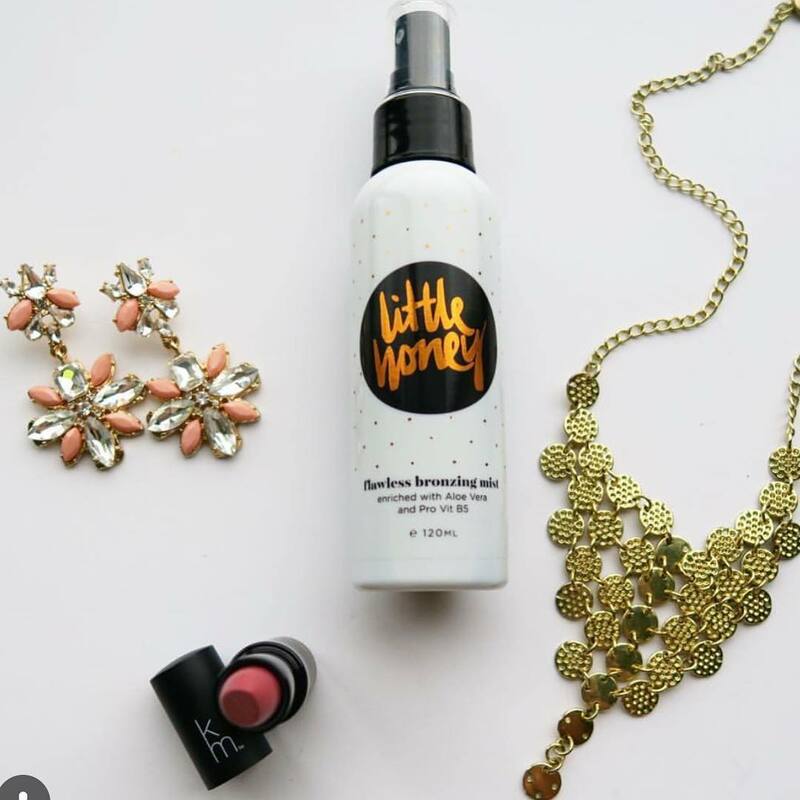 Leave the self tanning mist on for at least 4 hours before showering. Pharmacy staff used the tester to show me how it works and I bought the kit immediately. 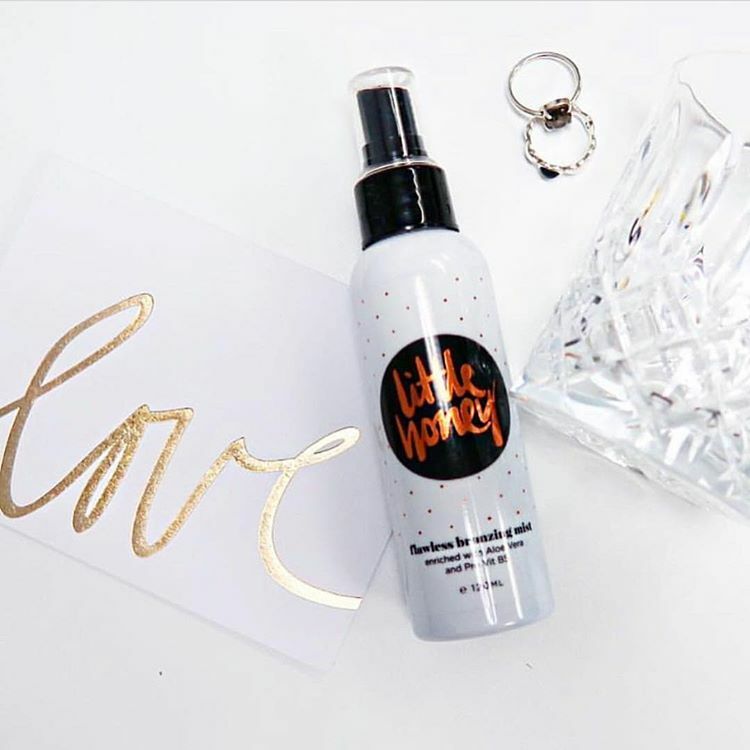 The tan looks glorious, it’s really simple to use and there is absolutely no awful smell that screams “fake tan!”. Love that it is NZ made not out of the R&D department of massive international conglomerate. Without a doubt, I will be going back for more. Best bronzing mist I’ve ever used. No sticky feeling and no transfer. Lovely natural tan without the fake tan smell. Put it on in th morning and your tan develops during the day. Pharmacist assistant tried it on me and I’m so glad she did. A great NZ made product. Love this!! I’m not a religious tanner and don’t have a lot of experience using self tans but this one is so easy to use, isn’t sticky, compliments your natural colour really well and is easy to put on. 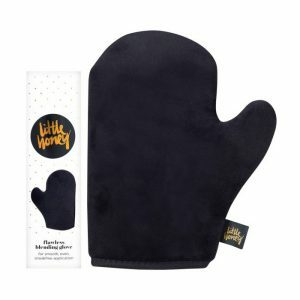 Would strongly recommend the glove too if you haven’t got one already. I was a little scared before trying the mist. I had seen so many orange fake tans that I hoped this product would be different. I was so happy with how my tan came out. It looked so natural and with the amazing glove it was easy not to get streaks. I loved how I could build up the tan and it actually smelled nice! I was ready to go in just a few minutes and didn’t have to worry about it staining my clothes. It really is the most amazing product ever! Love love love it! Absolutely love this product! Gorgeous colour and not sticky at all. Super easy to use and natural. I have been using this product for more than 2 years now. I have used most other leading brands in the past; Little Honey is by far the best colour, easiest to apply and nicest to wear. Had no smell, no orange and easy to get an even cover. I have had many compliments on my ‘natural tan’ when wearing it and I normally am quite fair. Only downside is that my local Priceline store has stopped stocking it and it is 2x the price here on line. Otherwise I cannot recommend a better product! Really easy to use. Drys quickly. Dosen’t stink.